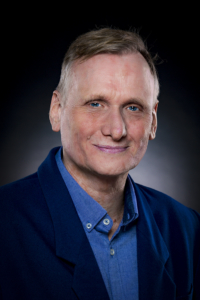 Dr Ingo Lambrecht is a Consultant Clinical Psychologist with over 20 years of experience, who has also completed his training in psychotherapy. He has a collaborative and integrative approach in brief solution focused therapy as well long-term individual psychotherapy. Ingo also has extensive experience in running groups. He has worked collaboratively with people from diverse backgrounds including children, adolescents, adults, couples and families, as well as people struggling with significant illnesses, and end of life matters. Ingo can assist with issues ranging from stress, self-esteem, grief, trauma, abuse and hearing voices/unusual beliefs to providing assistance to organisations, NGOs, companies, business leaders, and staff. Ingo also has a long history and strong interest in working with people who have cultural and/or spiritual concerns. A significant part of his practice is dedicated to supervision of other mental health professionals. More recently in New Zealand, Ingo has worked in a range of services in the public health sector, namely, child and adolescent mental health services, rehabilitation and specialist psychotherapy services. His clinical and organisational experiences have led to extensive work with health professionals, including registrars, GPs, and medical specialists, either individually or in group supervision. This includes addressing compassion fatigue, burnout, and vicarious trauma. His training and work experience in a variety of settings both in South Africa and New Zealand, include Psychodynamic Psychotherapy, Dialectical Behaviour Therapy (DBT), Cognitive Behavioural Therapy (CBT), Emotionally Focused Therapy for couples, various Family Therapy Models (Structural, Strategic, Systemic, Narrative), Clinical Hypnotherapy, Trauma Therapies such as EFT, Trauma Resiliency Model (TRM), Mindfulness- & Compassion-based Therapies, such as GRACE, amongst others. Currently he divides his time between Manawanui Oranga Hinengaro (Māori Mental Health Services ADHB) and his private practice. He continues to provide training, lectures, workshops, presenting at national and international conferences, as well as publishing professionally. He has written a book Sangoma Trance States (2014) based on his PhD research, and is currently co-editing a book on culture and psychosis. His fee for individual sessions is $180.00 excl. GST. The fee for group supervision is negotiable. To make an appointment to see Ingo contact us.